Boredom is poison. We crave meaning in our lives. We also want our time to make a difference. Spending time on irrelevant pursuits leaves us feeling hollow. The irony is that everyone claims to want more time, but most aren’t capable of handling this time. 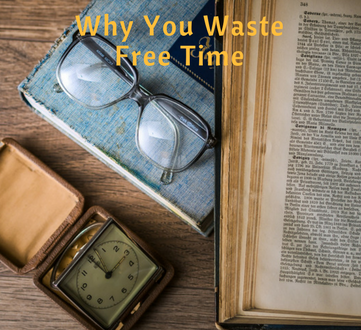 We waste free time because we are constantly distracted. The recipe for human happiness hasn’t changed, but society and technology have. Our evolution has four distinct phases. Up until roughly 10,000 years ago, we were hunter gatherers. Then agriculture became the primary focus, fostering trade and larger societies. Then came the scientific revolution, followed by a lengthy period of rapid industrial and technological development. This leads us to our current world, the fourth phase, dominated by technology that is constantly advancing at breakneck speed. Because of such innovation, the average person lives a life that would make our ancestors flabbergasted. The luxuries that were once reserved for the wealthy are now available to the almost everyone. We no longer want for basic needs, and have instead shifted our focus to “bigger and better.” Better houses. Better cars. Better products. Better living. Technology has opened our eyes to limitless possibilities, but our brains haven’t caught up to society’s advancements. Instead, we are overwhelmed by distractions.Because life is so easy (for most), boredom is impossible to avoid. We use time-wasting distractions to fill the void. Dozens of tasks vie for our attention, causing us to become lazy and burnt out. Our attention span has plummeted. We suffer from a prevailing feeling that we will miss something if we aren’t involved in everything. We expect instant results, instant gratification, and instant success. Because of this mindset, we are stretched too thin. With all these distractions, we have lost sight of the things that bring us joy and fulfillment. We can’t figure out how to spend our time in a way that makes us feel good. We’ve forgotten the big picture because we are so overwhelmed with options we can’t control. Failing to plan our free time, we accept whatever distraction comes our way. We don’t know how to reset ourselves and improve our focus. We waste time, because we fail to understand how to control time. We know we shouldn’t be consumed by work, but we are anyways. Spending night after night watching Netflix isn’t making us feel good, but we still do it. Video games, online forums, you name it – the distractions are endless. Life is about more than this. It’s more than wanting to escape our current life, or constantly feeling jealous or envious of the world around us. It’s about looking within ourselves and asking the tough questions..
What will I stand for? How will I make my mark? These are non-negotiable for me. I’m sure some of you feel the same way as I do. But others do not make time for these important things, and instead lead a structureless life. Most free time usually goes to waste. I’ve found two distinct ways which we can spend our time that not only makes us feel good, but helps us grow and feel fulfilled. I share both below. We must move beyond ourselves if we want to find fulfillment. Humans crave social connections, yet we lose sight of this going down the rabbit hole that is technology. In the moment, it seems like a great idea to isolate ourselves and play video games. But true fulfillment comes when we work towards a goal either with others, or helping others. We find joy when we spend our time helping other people through charitable efforts. By devoting consistent time to help people in need, we are quenching a timeless human characteristic – philanthropy. For thousands of years, the privileged have helped the less fortunate and derived a huge emotional impact from their actions. It’s one of the oldest acts of human behavior. To share our time with someone is more impactful with money. We are choosing to use our free time to advance the needs of another person. It’s the ultimate act of kindness. The experience leaves us feeling alive, a high that lasts for days. Something is awakened within us when we see the impact we are making. These actions feeds a subconscious void in our life, far more than any video game or TV show could ever do. Most of us rarely go out of our way to meet new people. Technology has made new connections easier than ever. Geographical boundaries no longer exist. But we must escape our comfort zone and seek out these relationships. The majority of people have their core group of friends (and family), so don’t really make an effort to expand their networks. This is a mistake. We derive much joy from interactions with other like-minded people, and intellectual conversations are always the cure for a bored mind. Technology is to blame for our lack of attention and patience, but the good far outweighs the bad (for those who are self-disciplined at least). The internet has given us the ability to connect with like-minded people all over the world. This is a new phenomenon, and it’s hard to believe that in a matter of seconds, we can contact a person anywhere on the globe. This breakthrough allows us to meet people who share our same values, work ethic, and vision. We can expand our circle beyond those who are geographically near us, and at the same time, fills our time working towards a common purpose. When we surround ourselves with people like ourselves, great things can happen. Deep discussions can lead to new ideas. Because we share core beliefs, creative thought flows naturally. We feel excited because we can bounce things off someone who is supportive and honest. We understand that we’ll get the feedback necessary to improve or go another direction. Think about children, the elderly, the mentally disabled, and those who are homeless. Poorly spent time leads to angst and frustration. Sadly, we don’t realize that our own poor choices are leading to our unhappiness. Time slips away day after day because we are so distracted with nonsense. We are bored out of our minds so find ways to distract our minds until the boredom stops. There are two significant ways to combat this – productive time spent with other people and time spent helping other people. The first step is to plan your free time. 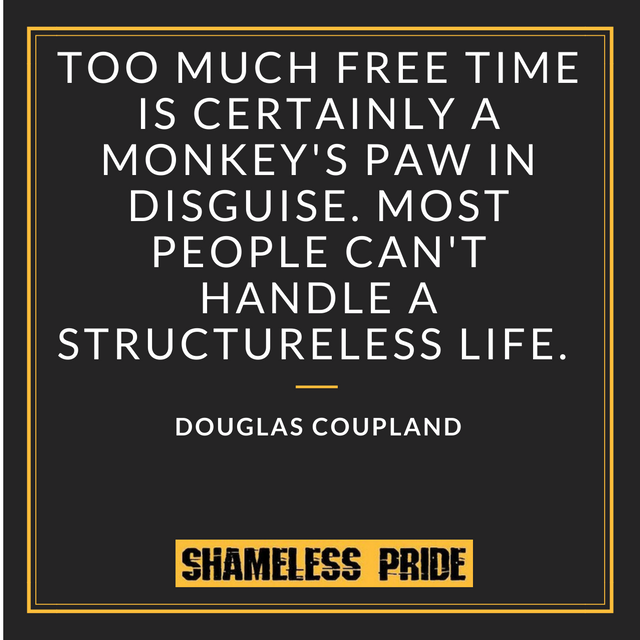 Productively is the key word.. Down time is certainly acceptable, but by planning your time, you make sure it isn’t constantly going to waste on distractions. The two ways I outline – helping others and collaboration –stroke our natural human urge to make an impact. Technology has certainly increased distractions, but it has also become an invaluable tool to find opportunities to carry out both of these pursuits. You can easily find volunteering opportunities or join a group of people who mirror your vision and beliefs. Our fulfillment is our responsibility. Begin to take your free time serious. Cherish it. Cure the boredom by making impactful decisions with your time. It’s to you to take control and make sure you get the most out of life.